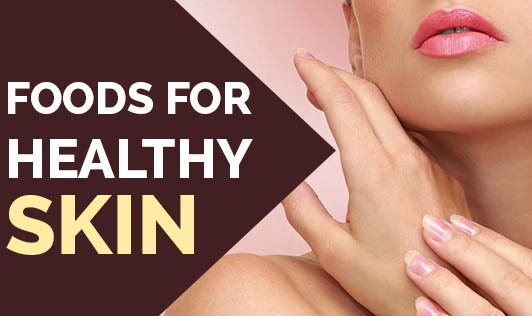 Eating the right kind of foods can play a major role in keeping skin healthy and supple. The right foods should contain the key nutrients that benefit skin. In addition, certain skin conditions may occur even if a well-balanced diet is followed. In these cases, changes in the diet or the increased intake of certain foods may help cure, prevent, or at least minimize certain skin problems or diseases. Increase the youthful appearance of your skin, brighten your complexion, and restore the elasticity in your skin by cleansing toxins out of your body. Brazil nuts are rich in selenium, and a number of other vitamins and minerals that can help reducing acne, wrinkles, and dry skin. Carrots being high in beta-carotene, vitamin A and C, and antioxidants helps skin glow, stay supple, blemish free. Berries such as blueberries, blackcurrants, blackberries, raspberries, cranberries, and strawberries are good foods for the skin due to their rich antioxidant properties. Pomegranate juice contains anthocyanins that strengthen the walls of tiny blood vessels that supply nutrients to the skin. Salmon and other oily fish (sardines, mackerel, and fresh tuna) contain omega-3 which plays an important role in maintaining skin health. Avocados is good for the skin because of it's high omega-3 fatty acid content. It keeps the skin plump and youthful looking and helps prevent dry skin. Sunflower seeds provide a lot of vitamin E, a powerful antioxidant that helps slow down aging of skin. Dairy products provide vitamin A that help reduce acne and wrinkles. Whole grains can be found in certain breads and cereals, are good for the skin because they are loaded with B-group vitamins. Green tea can work wonders on your skin. It provides a wide range of benefits. It is also used in skin creams for its potent antioxidant properties.